Do you Know the Beauty Advent Calendars? I really love the idea!, 100% beauty and 0% calories. The best way to start the Christmas countdown with better skin. This is my section of Beauty Advent Calendars but only from French Cosmetic Brands, Don’t miss it! Newhighstreet is moving to a new home: newhighstreet.net, I hope I will see you there and continue sharing our passion for fashion. 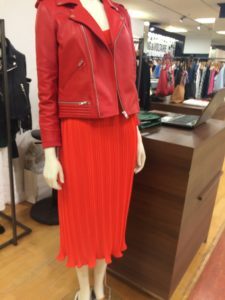 Do you know what you are going to buy this spring? After doing some research (read magazines, blogs, and other sources….) I made a small summary of what for me will be the latest trends for spring 2016. There is a bit of everything: T-shirt with message, striped or navy tops, boho style dresses, pom pom Sandals, the leather slippers or babuchas, BUT my favorite accessory for this Spring – Summer is: the round towel. I hope you like my picks, let’s start! T-shirt with message is trend thanks to Cara Delevingne and other Celebrities. Since them (I think 2 years ago?) until now there is no brand that has not released its own collection of T-shirts with message. 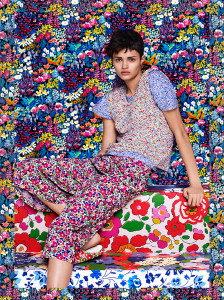 These are Carven and RAD. Just a way to express yourself. Stripes are my obsession, I have striped tops in several colors and for every occasion. 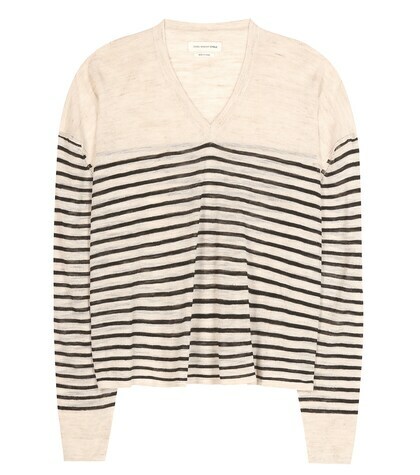 Stripes are always trendy!. Theses are Mkt, Isabel Marant and Manoush. For this season pompom will take the streets. In sandals, bags, dresses…Pompoms will be everywhere! The sandals made by the Greek artist Elina Linardaki are the most popular right now. Glamorous bag and AQUAZZURA sandals. Do you know what color look best on you? 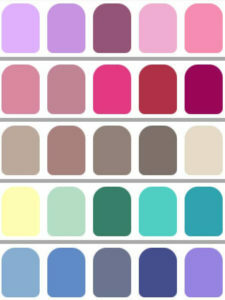 Not all the colors suit you and probably, without knowing the reason, you already have preferences for certain colors. But, do you know why? Well, the reason is because the color of your skin undertone. The different amount of pigments underneath the skin surface will determinate which colors suit you better or not. These pigments are mainly yellow, blue, and red but only the amount of blue or yellow pigments will decide if you have “warm or cold undertone”. If you have more yellow pigments you have “warm undertone”, contrary if you have more blue pigments you are “cold undertone”. Also there are two types of cold undertones: winter and summer, the more blue pigments you have, winter undertones. 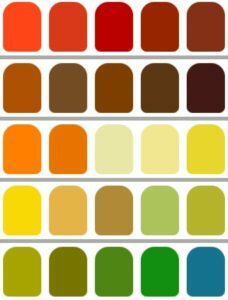 And two types of warm undertones: autumn and spring, the more yellow pigments: autumn undertones. All this is based on the Munsell system: Color me beautiful, I didn’t make up …. How to know what’s your undertone? 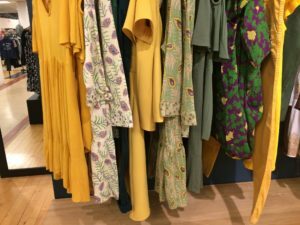 The best way, find a stylist or personal shopper to do what is called the color analysis, a test with color scarves representing each season. By a comparison test she or he will find out what type of undertone you have. The stylist will try different color tissues, comparing first cold colors (black-white-fuchsia) against warm (beige-brown-orange) to find out what type of undertone you have: cold or warm. Then, she/he will go into details to know if you are winter or summer (cold undertone) or fall or spring (warm undertone). Here you can see a video. 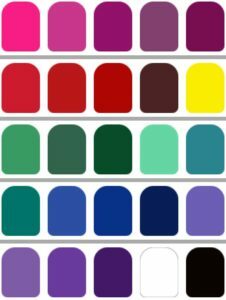 Do you have a predilection for certain colors? Which ones? strong or soft colors? What is your natural hair color? Eyes color? Usually, but not always, Cold people have blue, grey, green eyes and they have blonde or very black hair. Warm women: brown, hazel eyes and brown, gold blonde or ginger hair. Color of your veins? Blue or green? If the veins look greenish, you’re warm, if they are more blue you are cold. Do you get a tan easily? Does your skin turn golden-brown or does it burn? If you are autumn or winter you will tan easily but only autumn will turn golden-brown. Between spring-summer, only spring women may get a bit of color, summer will simply burn. Spring: light peach, warm pink skin. Blue, light brown color eyes, chestnut or light golden blonde hair. 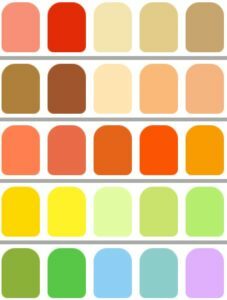 Spring Colors: pale pink, peach, salmon, soft blue, soft yellow. Winter: dark color hair, charcoal grey, blue, bright blue, violet, emerald-green, black, black-brown, dark hazel eyes. Very dark o very white skin. Colors: Strong colors like blue, fuchsia, hot pink, Valentino red and black and white. 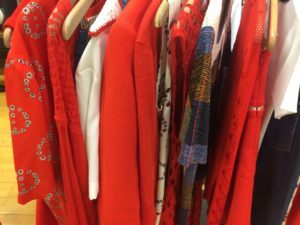 Why is so important to know what color suits you? Because with a good color you will notice a glow on your face, a good color will enhance your natural beauty, rejuvenate you, it minimizes fine lines, and hides dark circles and blemishes… it makes miracles! While a bad color does the opposite, it will accentuate all your imperfections, a horror! Also depending on the type of undertone you should wear different makeup and accessories. A cold women: silver accessories, pink based makeup, black eyeliner, pink blush. A warm women: gold accessories, yellow based makeup, brown eye pencil, orange blush. But, which are the colors for this spring and summer 2016? According to the catwalk: rose quartz, peach, yellow, brown earth, sky blue, lilac gray, green and red. White of course!, the entrance of Zara was all white. But what I really loved was this bohemian white dress by The kooples. so now tell me, which one is your color? see you next week and thanks for reading!!!! Whatever is your favorite music festival: Coachella, Burning Man, Glastonbury, or les Deferlantes you have to be ready because now starts the countdown. The first Coachella the 15th of April at Empire Polo Club in Indio, California and then, not stopping until late summer. 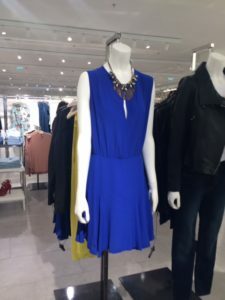 The look that is imposed is the boho-hippie look and already there are brands such as H&M or Asos have launched a special festival collection. What to put in your suitcase? Denim shorts, t-shirts, loose blouses, hippie and white or floral dresses, flat sandals or if you go to Glastonbury don’t forget a pair of wellies. To complete the look: sunglasses, a hat to protect you from the sun and many, many bracelets and necklaces Hipanema style. These are my choices for the festival look. Which one is you favorite one? Sea cual sea tu festival de música favorito: Coachella, Burning man, Gastonbury, o les deferlantes hay que estar preparada porque ya comienza la cuenta atrás. El primero, Coachella el 15 de abril en Empire Polo Club in Indio, California y así, sin parar hasta finales de verano. El look que se impone es el estilo boho-hippie y ya hay marcas como H&M o Asos que ya han lanzado una línea de ropa especial festivales. Qué meter en la maleta? Un short vaquero, camisetas, blusas sueltas, vestidos sueltos blancos o florales, sandalias planas o si vas a Gastonbury no olvides unas botas de agua. Para completar el look gafas de sol, un sombrero para protegerte del sol y muchas, muchas pulseras y collares tipo Hipanema. Estas son mis propuestas para conseguir el look festivalero. Cuál os gusta más? But what exactly is a capsule collection? 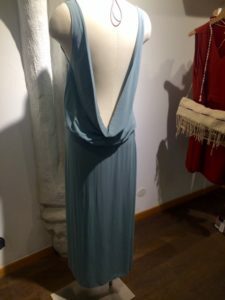 A capsule collection can mean two things, the first one generally refers to a small collection design by a famous designer outside the company, today could also be a celebrity, but much more affordable. The clearest example is H&M, which has already collaborated with big fashion designers such as Karl Lagerfeld, Versace or Balmain. ¿Pero que es exáctamente una colección cápsula? Una collección cápsula se puede referir a dos cosas, la primera se refiere en general a una collección pequeña realizada por un diseñador famoso externo a la empresa, aunque hoy en día tambien podría ser un celebrity, pero a precios mucho más asequibles. El ejemplo más claro es el de H&M, que ya ha colaborado con grandes de la moda como Karl Lagerfeld, Versace o Balmain. But it can also refer to a small collection, never more than 16-20 pieces, within the same company based on a particular theme. In this case usually it’s represented by famous Supermodels or Bloggers as an ambassador to represent the collection, this is the case of Amazon Mode with Chiara Ferragni or Karlie Kloss with Mango and H&M Conscious Exclusive Collection with Julia Restoin-ROITFELD o Moschino. Pero también puede referirse a una colección pequeña, nunca de más de 16-20 piezas, dentro de la misma empresa con una temática en concreto. En este caso suelen buscar una embajadora Supermodelos o famosas Bloggers que represente la coleccion como como es el caso de Chiara Ferragni con Amazon Fashion, Karlie Kloss con Mango, H&M Conscious Exclusive Collection con JULIA RESTOIN-ROITFELD o Moschino. In any case they are quite limited, about 20 pieces and have limited time for sale, so if you hurry you are still in time to catch some of these pieces. Here I have made a small selection of the newest capsule collections. En cualquier caso suelen ser bastante limitadas, unas 20 piezas y tienen un tiempo limitado en venta, así que si os dais prisa aun estáis a tiempo de hacheros con algunas de esta piezas. Aquí os dejo una pequeña selección de las colecciones cápsula del momento. Which one is your favorite? I think I’m going to get this yoga pants by ba&sh yoga….and you? The idea of writing this post it came a year ago. It’s not that I’m planning to get married but if I do I think I know what I will wear and what not. I’m not fan of big ceremonies and I really don’t want a princess wedding dress. Also I don’t have the energy to organize everything in detail and expend a fortune to try to make everybody happy. Two years ago, I went to a wedding in Greece, well, it was not exactly a wedding, it was just dinner and party. That was all, perfect!!! ……I really liked the idea and it was fun and everybody was relaxed! Just a civil and simple ceremony and then a big party! with family and closer friends, simple but with a lot of fun. So, what to wear for THE day? I don’t like traditional and classic dress, and I hate the idea of buying something super-expensive that it will finish raising mushrooms in the wardrobe. I admire Keira Knightley; she chose for her big day a simple staples dress combined with flat shoes and a tweed jacket. Ok, the dress was Chanel but still! It was a simple and nice dress that she wore few times before and after her wedding. 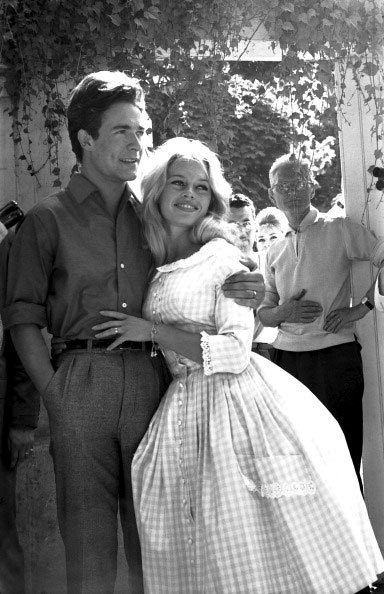 She was not the only one, others broke the rules before: Brigitte Bardot married Jacques Charrier in 1959, with Vichy dress designer by Jacques Esterel, not exactly a classic wedding dress for that time. Mia Farrow and Audrey Hepburn also preferred simplicity and follow their personal style. Other example of simplicity was the wedding of Carolyn Bessette-Kennedy with John F Kennedy Jr. She will be always remembered for her minimalist style and her wedding dress designed by Narciso Rodriguez that it is and it will always be my favourite wedding dress. Just simple. Here, I found some no wedding dresses that they could be your wedding dress. Which one is your favorite? 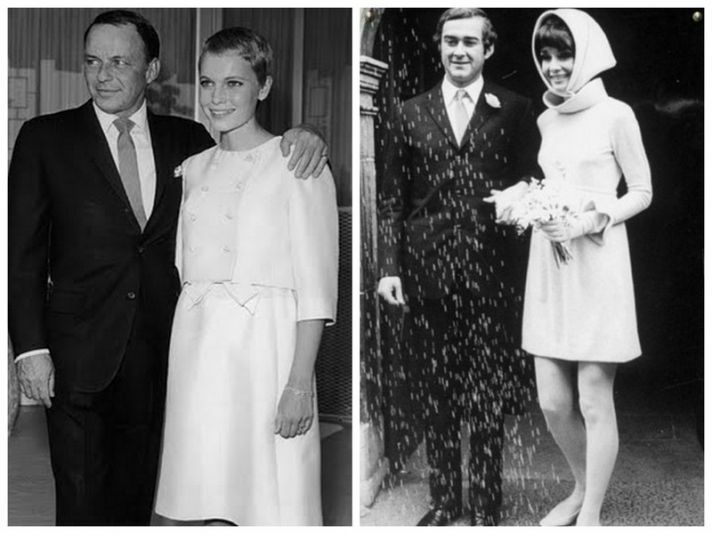 Do you prefer an alternative or classic wedding? There are trends that always come back and partly due to nostalgia. Nostalgia of our childhood or youth or any past time we remember with melancholy. Nostalgia sells, and fashion brands know. Nostalgia is fashion and encourages us, the consumers to spend and to spend more. This is the case of Snoopy, Hello Kitty, Mickey Mouse or many Disney characters. Year after year, brands make a tribute to any of these characters. Undiz has launched a collection of underwear and pyjamas dedicated to Snoopy, Codello also has one with Snoopy accessorizes, OPI Nail varnish with Hello Kitty motif, Paul & Joe Sister with Looney Tunes characters… and so many more. Sneakers, sport shoes or whatever you want to call them have become the basic piece of any wardrobe in the world. Sneakers are not only for going to the gym; now you can wear them at any time of day or any event. How to wear them? Well, as you want! With skirts, jeans, pants; there are no rules; it preempts the comfort and luxury brands know. Brands such as Dior, Valentino, Givenchy has launched its collection of sneakers that already you can buy online. But don’t worry, there are sneakers at any prices, brands and colors! good because I was bored of the white sneakers. This year for sure you will fall into the sneaker temptation. Las zapatillas de deporte, playeras, deportivas, sneakers o como queráis llamarlas se han convertido en la pieza básica de cualquier armario en todas parte del mundo. Las deportivas ya no se usan solo para ir al gimnasio; ahora valen para todo y para cualquier hora del día o evento. Como llevarlas? Pues como tu quieras! Con faldas, vaqueros, pantalones; ya no hay reglas; la comodidad se antepone y las marcas de lujo lo saben. Marcas como Dior, Valentino, Givenchy han lanzado su colección de deportivas que ya podéis comprar online. Para las que no nos llega para comprar Dior, no os preocupéis, hay deportivas de todos los precios, marcas y colores!, menos mal porque ya estaba aburrida de las zapatillas blancas. Este año si o si caerás en la tentación. Very soon newhighstreet will migrate to a new home: newhighstreet.net. If you liked this post and all my previous ones register via email to my new blog: newhighstreet.net and you will receive notifications of the new posts every week. I’m waiting for you, see you soon. Dentro de muy poquito newhighstreet migrara a un nuevo hogar: newhighstreet.net. Si te ha gustado este post y todos mis anteriores posts inscríbete a mi nuevo blog vía email y recibiras notificación de un nuevo post todas las semanas. Os espero, hasta pronto! Thanks for reading!!! see you next week.